1 3/8" Wide with embossed Lee logo in the front of the belt. 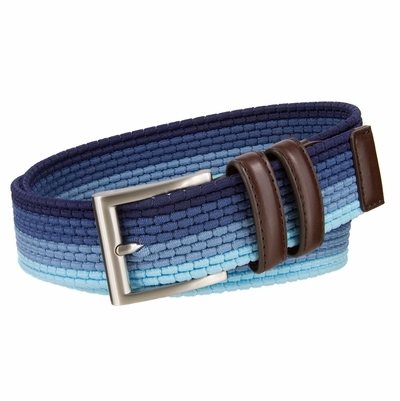 Woven stretched elastic mens belt. Great belt to adjust for multiple sizes around your size range. Stitched leather support with two matching loops and leather support in the tip end.